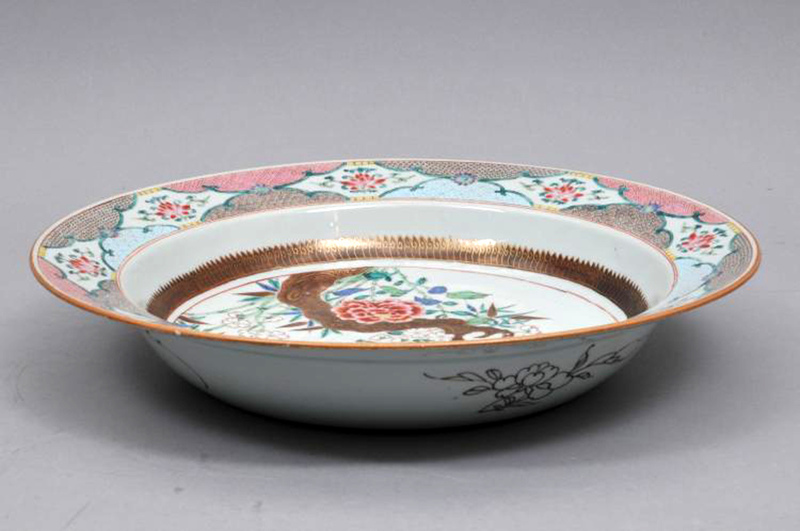 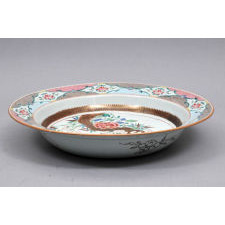 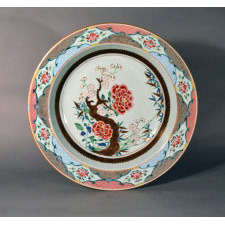 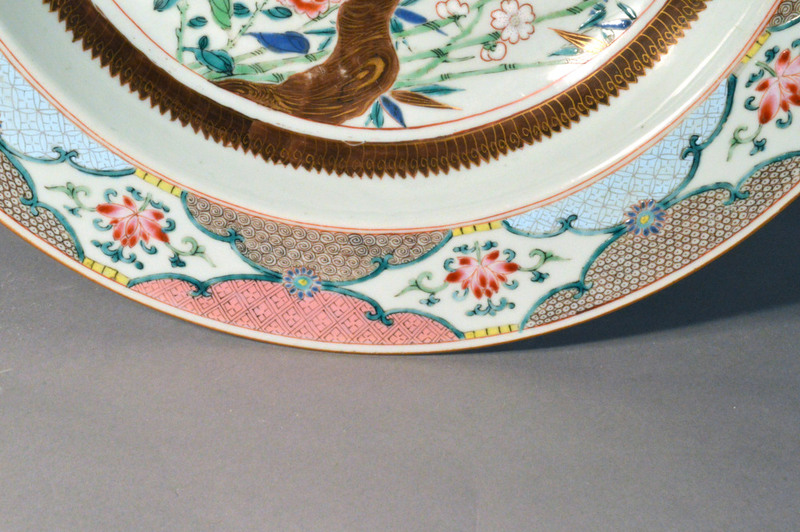 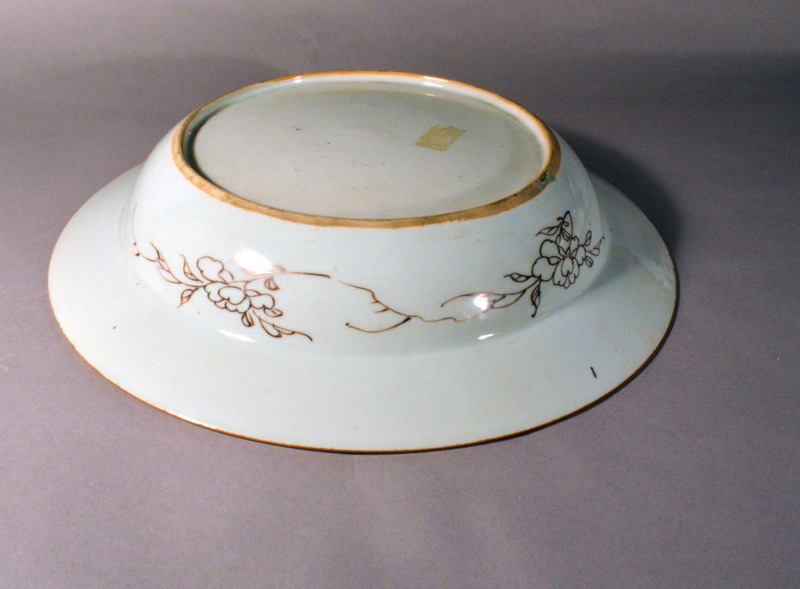 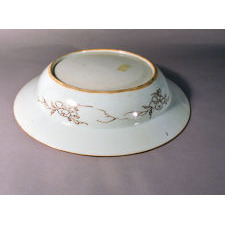 Antique Dealers Association of America - Chinese Export Famille Rose Porcelain Basin, Circa 1735-50. 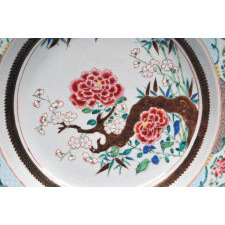 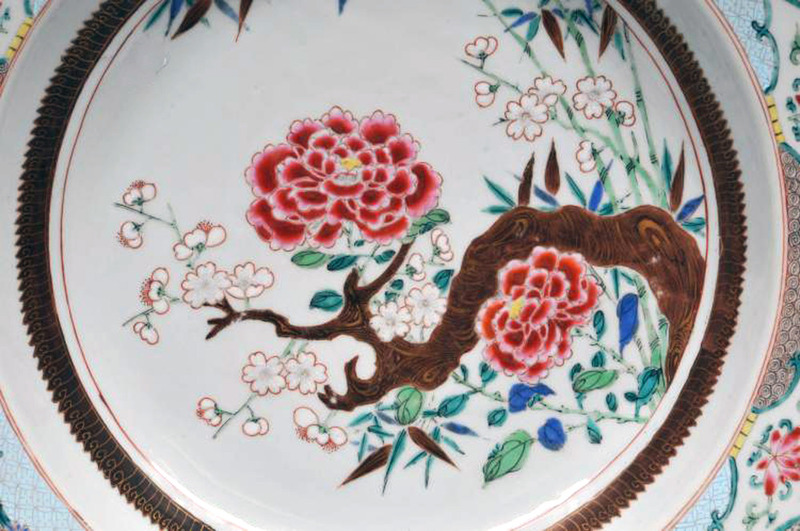 The unusual Chinese Export Famille Rose deep porcelain basin is finely painted with a flowering branch design with two large red flowers and a branch with blooming small white bamboo flowers. 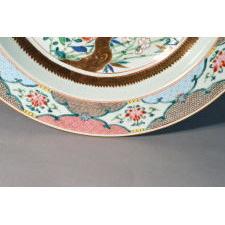 The border has a series of seven shaped panels containing a vignette of flowers and leaves with a series of different coloured panels with different designs including diaper and trellis. 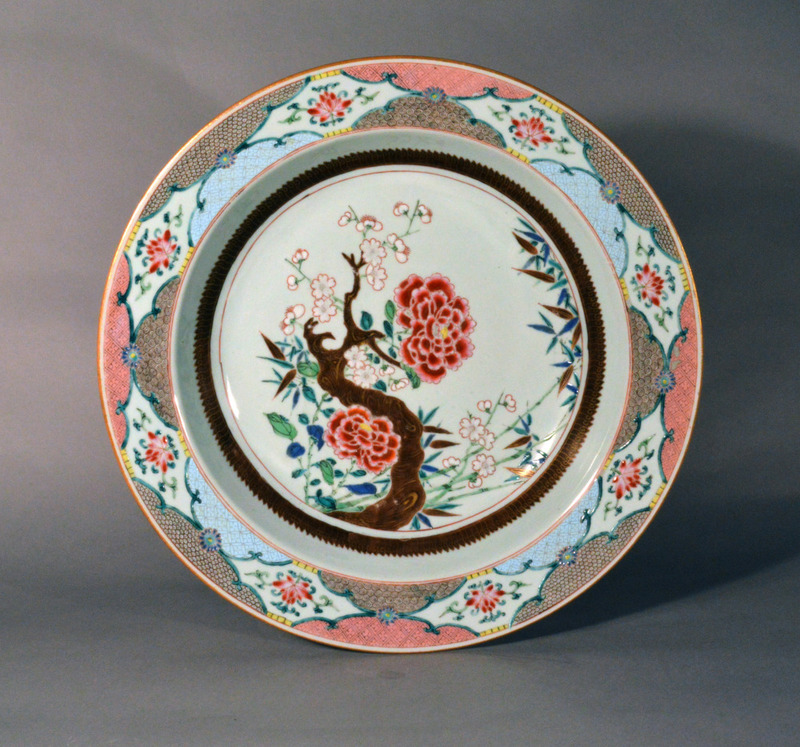 Measurements Dimensions: 14 3/8 inches diameter x 3 inches high.